We usually start a new month by sharing how well – or not – Windows 10 has been doing. 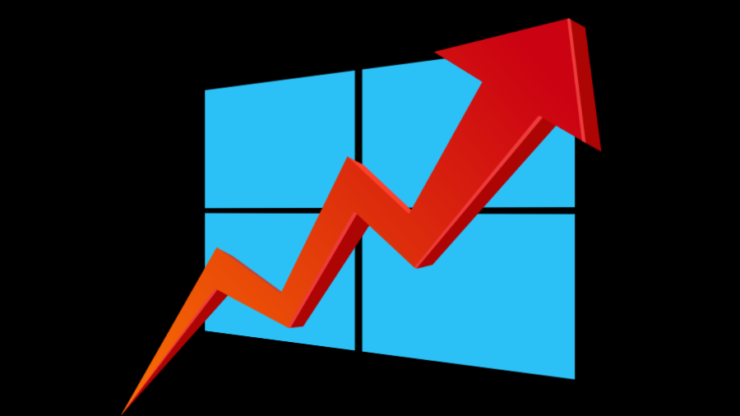 However, NetMarketShare fumbled this month when it reported both the Windows 10 and Windows 7 having experienced increasing growth in June. The analytics firm has now audited its numbers and the revised figures make more sense than the earlier paradoxical numbers. The company has said that Windows 10 grew by 0.97 percent, reaching 35.71 percent overall market share. In contrast, Windows 7 lost 0.97 percentage points hitting 41.74 percent market share. This means that Windows 10 is still over 6% percent behind the market share of Windows 7. As for the other Windows versions, Windows 8.1 lost 0.41 percent while Windows XP lost 0.96 percentage points, reported BetaNews. This isn’t the first time that the numbers being delivered by NMS didn’t make sense. Earlier in the year, the company reported both the Windows 7 and Windows 10 losing market share, while Windows 8.1 and Windows XP – yep! – experienced growth. As reported previously, NetMarketShare has always been on the conservative side when it comes to Windows market share. In contrast, StatCounter has long reported Windows 10 overtaking Windows 7 usage numbers, at least in the United States. Microsoft recently revealed that its latest operating system version, the Windows 10 April 2018 Update, has experienced record growth rate hitting 250 million devices in just over a month after its release. An analytics firm later confirmed that the latest Windows 10 version managed to hit over 78% of all Windows 10 users in just two months after it started rolling out.